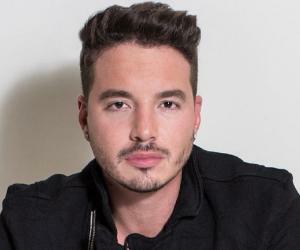 J Balvin is a Colombian singer specializing in the ‘Reggaeton’ genre. Check out this biography to know about his birthday, childhood, family life, achievements, and fun facts about him. J Balvin is a Colombian singer specializing in the ‘Reggaeton’ musical genre which originated in Puerto Rico during the late 1990s. 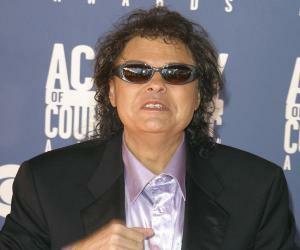 He is famous for delivering numerous platinum and gold certified singles over the years. Balvin moved to the United States to learn English and while there, he was exposed to the hip-hop genre and was deeply influenced by the music. He announced his arrival in the music industry with the release of the hit single ‘6 AM’ which featured on the top charts in 2014. Since then, he has delivered several popular albums like ‘Energia’ which charted in Mexico and also on Billboard’s Top Latin Charts. His hit singles like ‘En Lo Oscuro’, ‘Yo Te Lo Dije’, ‘Ay Vamos’, ‘Ginza’, and ‘Mi Gente’ have established him as one of the top reggaeton singers worldwide. The two-time Latin Grammy Award winner has also worked with famous artists like Willy William and Beyoncé. Although primarily known as a reggaeton singer, Balvin has been inspired by several other genres including house music, trap, R&B, as well as rock. He is a huge admirer of the rock bands Metallica and Nirvana. After spending a lot of time in the United States, he returned to Colombia and began performing at various urban clubs in Medellín and later adopted the stage name of ‘J Balvin El Negocio’. He collaborated with his future business partner David Rivera Mazo and started producing their own brand of music without any music label. His music was mostly a hybrid of Puerto Rican reggaeton with elements of other genres. In 2009, he signed a contract with EMI Colombia and released his first single (under a music label) ‘Ella Me Cautivó’ which featured on Billboard’s Top 50 Tropical Songs chart. In 2014, he tasted mainstream success when he teamed up with Puerto Rican singer Farruko for the single ‘6 AM’. The single was a huge hit in the United States as well as in Europe and Latin America. The song reached number two on the Billboard Hot Latin Songs chart and number four on Colombia’s top charts. Balvin won his first major award in 2015, when he was awarded the Latin Grammy Award for ‘Best Urban Song’ for the single ‘Ay Vamos’. The single topped the Billboard’s Hot Latin Songs chart as well as Colombia’s top charts. In 2015, he released another top single, titled ‘Ginza,’ which topped the charts in Colombia, Italy, Mexico, and Spain. The song not only reached 600 million views on Vevo but also set a new Guinness World Record for the longest stay at number one on the chart. In 2016, he released his fourth studio album ‘Energia’ which topped the Billboard Top Latin Albums chart on its debut as well as debuted at number 38 on the all-genre Billboard 200. The album delivered hit singles like ‘Safari’, ‘Bobo’ and ‘Sigo Extranandote’; ‘Bobo’ reached the top of the Billboard Hot Latin Songs chart. The album received worldwide praises from various organizations and earned a place in Rolling Stone’s 10 Best Latin Albums of 2016. A year later, Balvin released another hit single, ‘Mi Gente’ featuring Willy William; the official music video of the single became the number 1 song in the world according to Global Top 50 on Spotify. It also reached an astonishing 1 billion views on YouTube within just six months of its release. The song was later remixed, featuring an appearance by the American singer Beyoncé. J Balvin was born as José Álvaro Osorio Balvin in Medellín, Colombia on May 7, 1985, to an upper middle-class family. His father owned a business and they were financially well off. However, after the business went down and his father became bankrupt, they had to move to a poorer neighborhood. Balvin’s life changed after that and he grew up in a society where hip-hop had a great influence. 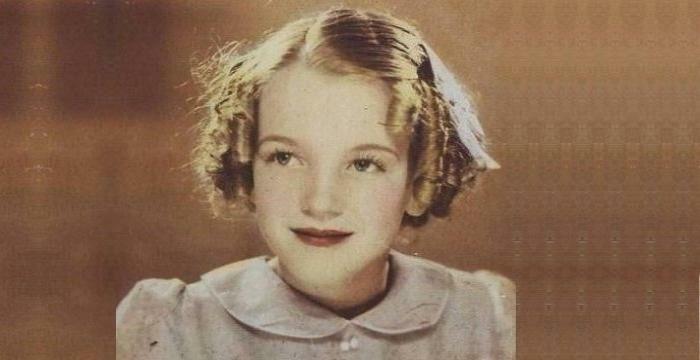 He enrolled in an English-exchange program in Oklahoma and moved to New York City to study English and music. He also worked as a dog walker during those times to earn his livelihood. 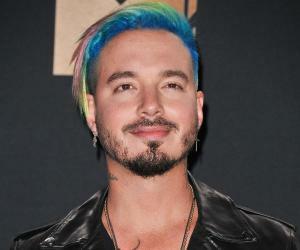 In 2015, Balvin was due to perform at the Miss USA 2015 event; however, he canceled his program in a protest against Donald Trump’s insulting remarks on immigrants.